Bob Graham beautifully captures a world vision in one solitary moment. From the multiple award-winning author-illustrator of How to Heal a Broken Wing and A Bus Called Heaven, comes a powerful and poignant celebration of the small moments in life - moments in which we sense the greatest significance, moments when we can see the big picture. At 9.59 on Thursday morning, Jodie draws a duck. Just as she is about to add one final silver button to the duck's boots, her little brother takes his first step. At this exact same moment, a man buys bread, a soldier leaves home, a baby is being born... 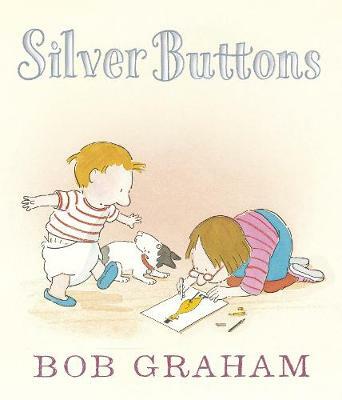 Here is a book, a story, a philosophy so simply told and yet - in true and inimitable Bob Graham style - so rich with emotion and meaning. From his glorious urban skyscapes to the tender portrayal of a falling feather or the tying of a shoelace or a dog's joy in scratching his back, Bob lets us in on a world view conveyed with humanity, compassion and affection.